TaylorMade Golf’s popular AeroBurner line just got a whole lot hotter. That’s because the golf equipment-manufacturing giant has recently enhanced their popular line of 2015 TaylorMade drivers, adding AeroBurner irons and balls to the mix, just in time for golf season. The new AeroBurner irons have differentiated themselves in several ways from the TaylorMade irons of the past, including more emphasis on distance and forgiveness for average golfers and mid-handicappers. The new line of irons is also easier on the bank account than previous sets. And to compliment the new line of AeroBurner irons made for players seeking the perfect combination of clubs and equipment, there are two new TaylorMade golf balls that are being added to the line: the AeroBurner Soft and the AeroBurner Pro. So, what sets these new products apart from previous renditions of TaylorMade irons and golf balls, and how can they benefit your game? When TaylorMade introduced their sole slot technology back in 2012, the golf giant knew that it was onto something big. That’s because extensive research and development over the years has shown that these so-called “speed pockets” help golfers achieve faster shots with each stroke of the club compared to solid irons. Unlike previous versions of TaylorMade’s speed pocket technology, however, the new AeroBurner irons are a little bit different. According to Tomo Bystedt, the director of product innovation at TaylorMade, this new line of irons works in an unprecedented way. The new half-take on the iron slot technology creates a hinge-like effect at impact, causing the club to launch the ball farther and higher than ever before. The AeroBurner irons’ lower center of gravity (CG) also attributes to a more effective transfer of energy while at the same time providing the higher lofts that most average golfers are seeking. Another integral feature of the new AeroBurner irons is the over-sized face of each TaylorMade iron in the set. These larger club faces give players more room for forgiveness during slightly off-center shots. They also eliminate the need for additional face slots that are in other TaylorMade products like the RSi line of irons. The elimination of additional face slots also means reduced production costs for the new line of irons, which TaylorMade has opted to pass on to golfers looking for lower scores and lower prices. With plenty of room for error on a larger club face that was designed primarily for golfers with handicaps of 15 or higher, the company felt like there were other ways to improve the new line of AeroBurner irons, all while keeping their latest additions to golf bags worldwide at an affordable price. 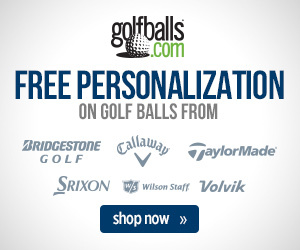 What better way to compliment a new set of AeroBurner irons, than a new line of TaylorMade golf balls custom-made for average golfers and mid-level handicappers? 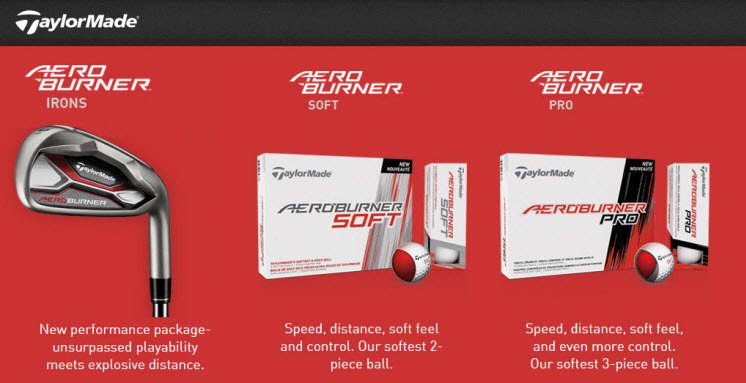 The AeroBurner Soft and the AeroBurner Pro are designed to do just that, offering players a couple of options when choosing the right golf ball for their game. The AeroBurner Soft is a tough two-piece ball made for higher flight and distance, while the AeroBurner Pro is a three-piece model that specializes in a softer feel for players focusing on control. 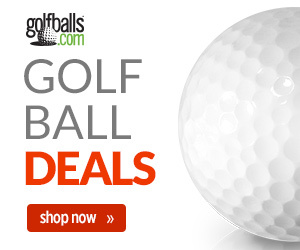 The new AeroBurner irons and golf balls are certain to heat up any intermediate golfer’s game. And at an affordable price made to accommodate the most stringent of budgets, there are several reasons to jump in and try out these new and exciting additions to TaylorMade’s AeroBurner line of golf clubs and equipment.